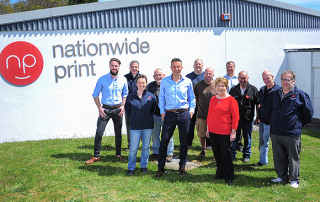 We are extremely pleased to announce that Nationwide Print has achieved national recognition in the most prestigious and competitive printing industry honours – the PrintWeek Awards. We were awarded ‘Highly Commended’ in the closely fought Small or Medium Enterprise (SME) category; just pipped at the post for the top spot! 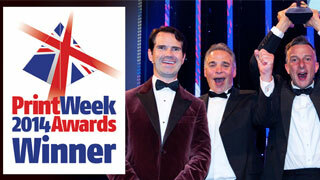 The exclusive award ceremony was held on 17th October at the Grosvenor House Hotel in London. 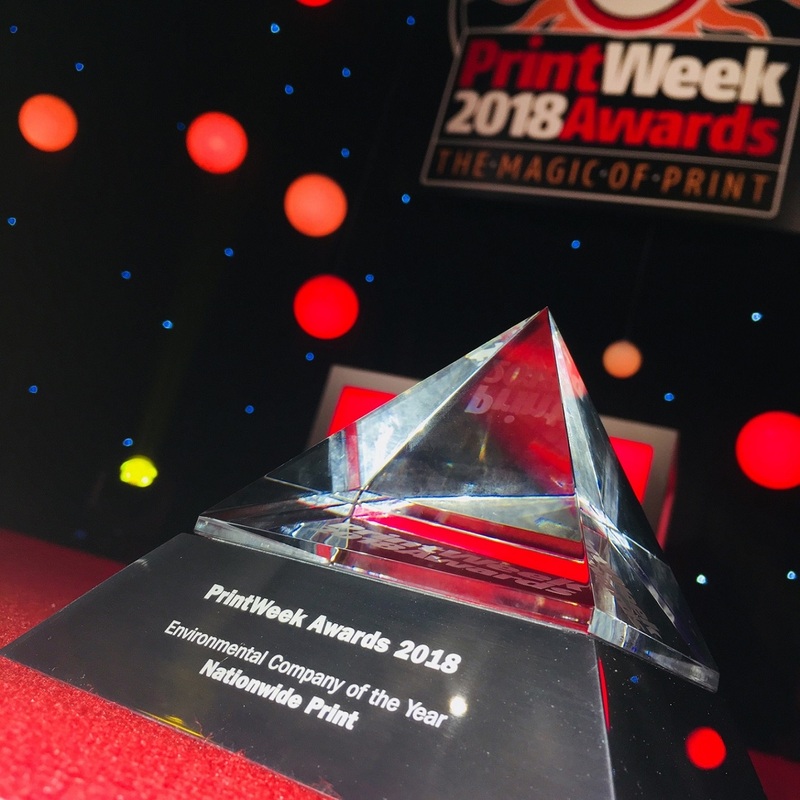 Our success in the PrintWeek Awards over the last few years (we won the same award back in 2014) has been a contributing factor in our continued growth. It has helped give us the confidence to invest in new technology and staff, and spurred us on to become a green leader in the printing industry. We are proud to be counted as one of the best printing companies of our size in the whole of the UK. The team here at Nationwide are dedicated and ambitious, and it won’t be long before we secure the top spot once again! Returning from London off the back of this award success, Nationwide Managing Director Julian Hocking will now turn his attention to rolling out new technology upgrades, including colour management software and digital finishing equipment. We will also be continuing our programme of sustainability improvements, with external insulation and cedar cladding, and investment in electric vehicles for local deliveries. 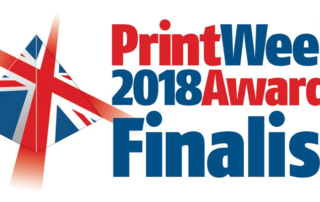 We are pleased to announce that Nationwide Print has been included in a prestigious shortlist which recognises the top print companies in the UK. 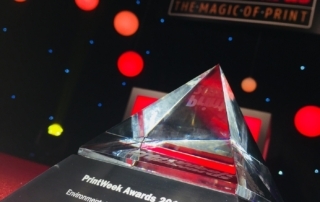 We are one of just five firms now fighting it out to be crowned Small or Medium Enterprise (SME) of the Year 2016, at the PrintWeek Awards – the most important set of accolades in UK printing. The PrintWeek Awards are the pinnacle for our industry. They are extremely competitive and the high standard of entries demands that a lot of effort is put into the application process. The judges take into account hard figures on profit and loss, as well as investment in technology and people, and other achievements – such as winning new contracts. Managing Director Julian Hocking knows what it’s like to scoop the top spot, after Nationwide Print won the same award in 2014. Innovation and sustainability are at the heart of our bid for this year’s trophy. We have invested in new Ricoh digital and Heidelberg litho machines, recruited additional skilled team members, and are currently trialling Marcom Central asset management software to help clients manage their brand across multiple sites. Meanwhile, new solar panels, office lighting and energy efficiency savings have made Nationwide Print an industry leader in environmental policy; remarkably the firm now produces more energy annually than it uses.